Able Seacat Simon, D.M., R.N. Able Seacat Simon and crew seen onboard HMS Amethyst during the Yangtze Incident. Able Seacat Simon), Bryson, Chare, MacNamara, A. Williams, Murphy and Keicher. 2nd row from left to right: Bannister, McCarthy, Nolan, Saunders, P. Jones, Delve, Munson, Williams and Wilson. August 1949: Able Seacat Simon seen in Hong Kong after the escape of HMS Amethyst from the Yangtze River. Simon was found wandering the dockyards of Hong Kong in March 1948 by 17 year-old Ordinary Seaman George Hickinbottom, a member of the crew of the British frigate HMS Amethyst stationed in the city in the late 1940s. At this stage, it is thought Simon was approximately a year old, and was very undernourished and unwell. Hickinbottom smuggled the cat aboard ship, and Simon soon ingratiated himself with the crew and officers, particularly as he was adept at catching and killing the rats, which infested the lower decks. Simon rapidly gained a reputation for cheekiness, leaving presents of dead rats in sailors' beds and sleeping in the captain's cap. 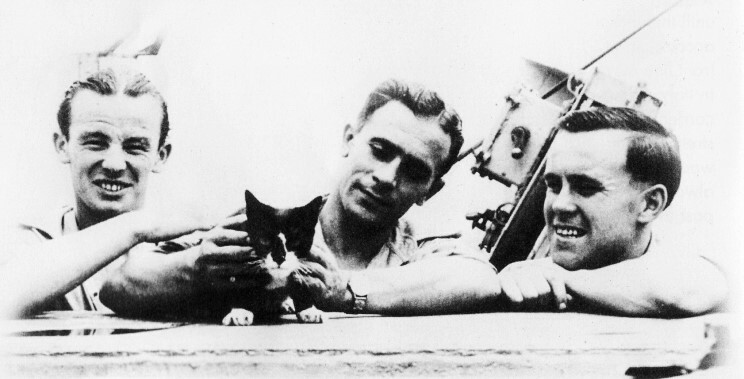 The crew viewed Simon as a lucky mascot, and when the ship's commander changed later in 1948, the outgoing Ian Griffiths left the cat for his successor Bernard Skinner, who took an immediate liking to the friendly cat. However, Skinner's first mission in command of the Amethyst was to travel up the Yangtze River to Nanking to replace the duty ship there, HMS Consort . Halfway up the river the ship became embroiled in the "Yangtze incident", when Chinese communist gun batteries opened fire on the frigate. One of the first rounds tore through the Captain's cabin, killing Skinner and seriously wounding Simon. The badly wounded cat crawled on deck, and was rushed to the medical bay, where the ship's surviving medical staff cleaned his burns and removed four pieces of shrapnel from Simon, who was not expected to last the night. He did manage to survive however and returned to his former duties in spite of the dislike he faced from the new captain. Whilst beached in the river the ship had become overrun with rats, and Simon took on the task of removing them with vigour, as well as being used in the sick bay to raise the morale of wounded teenage sailors. 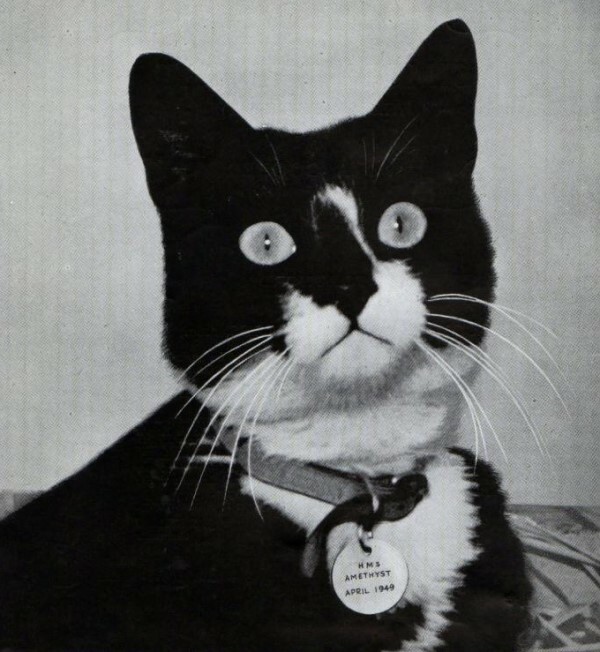 Following the ship's escape from the river, Simon became an instant celebrity, lauded in British and World news and presented with the "Animal VC ", the Dickin Medal as well as a Blue Cross medal, and Amethyst campaign medal and the fanciful rank of "Able Seacat". Thousands of letters were written to him, so much that one of Amethyst officers was detailed solely to answer Simon's post. At every port Amethyst stopped at on its route home, Simon was presented with honour, and a special welcome was made for him at Plymouth in November when the ship returned. Simon was however, like all animals entering the UK, subject to quarantine regulations and spent his time in an animal centre in Surrey. A Personal Tribute to Able Seacat Simon D.M., R.N. Within the recorded History of England, there have been many stories and epitaphs written about our nations favourite pet, the cat. Amongst them, one stands out. A black and white tom, whose name was Simon. He alone, was the recipient of the animal equivalent of the Victoria Cross for bravery, that of the Dickin Medal awarded by the PDSA (Peoples Dispensary for Sick Animals). 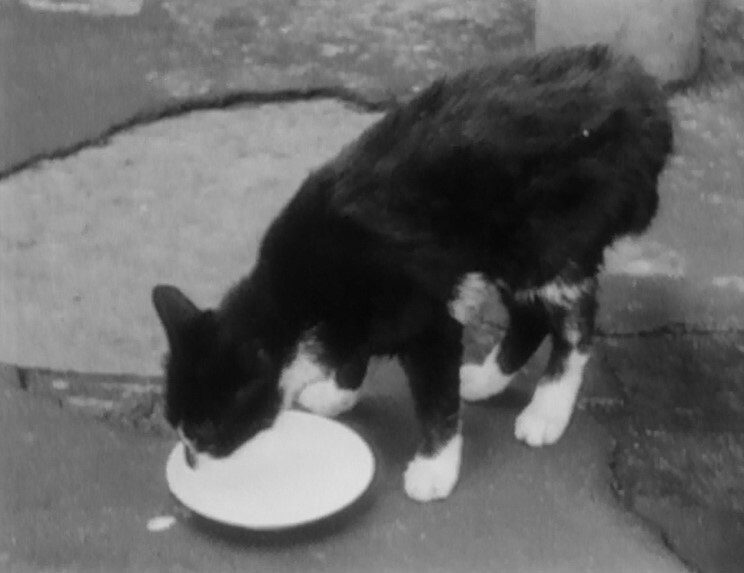 Simon, a stray kitten, was rescued from Stonecutters Island in Hong Kong in May 1948 by one of the crew of HMS Amethyst, Ordinary Seaman George Hickinbottom. His destiny had, at that moment been sealed. On 20th April 1949 the Amethyst was on her way up the Yangtze River to relieve the Destroyer HMS Consort in Nanking. She was on her lawful and peaceful occasions. During the outrage of the attack on the ship that followed, Simon was knocked unconscious and seriously wounded. He sustained multiple shrapnel wounds, his whiskers burnt off and bleeding gashes on both his back legs. He was not expected to survive. The gentle hands of one of his shipmates, retrieved him from the debris. Much to the relief of the crew, very gradually nature did her work and Simon recovered. This stalwart cat was back on parade. 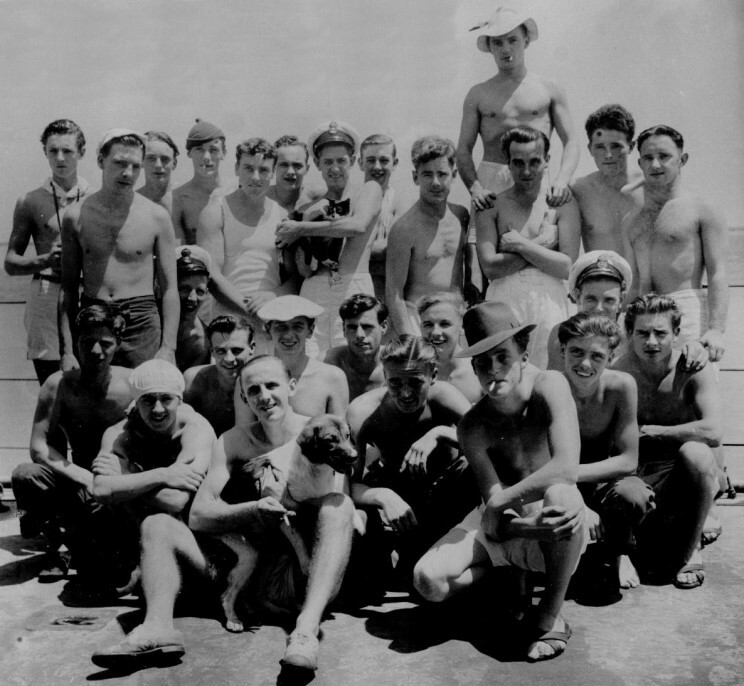 Nothing could have given our lads more pleasure and boosted their moral, than to see him on his daily inspections of his ship and to have had him curl up, purring, on their hammocks. from the ever present threat of rats. Although recovering from his wounds, he never tired in the grim struggle, to clear his ship of vermin. Someone on board the Amethyst, was heard to say that cat deserves a medal how prophetic this turned out to be! 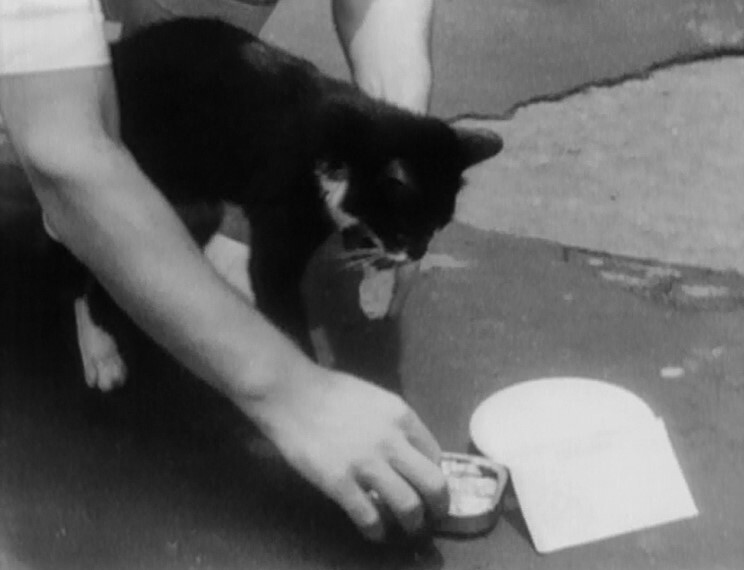 The exploits of this valiant cat became public news here at home in England. Many a letter was written, enquiring after the health of Simon, even tins of Sardines, which were his favourite, were sent to him. Simon came home, with his ship to England. I was taken by my Grandfather to see Amethyst on her arrival in Devonport and to meet Simon. At only four years old, whilst in Quarantine, on November the 28th 1949 Simons spirit, slipped quietly away to sea. He was buried in The PDSA Animal Cemetery at Ilford. As one of the many who avidly listened for news of him all those years ago. I am proud to offer this tribute to the cat that came to mean so much to us all. For Simon, so long gone from our lives, but never absent from our hearts.